Is home jobs today a scam? I found this site by searching for work at home jobs. The initial page that pulled up presented three work at home sites which they claimed were the best online. They made claims that these three sites had been featured on top TV networks like CNN, ABC, NBC, BBC and more. These three sites were cash from home, home jobs today and replace your job. I visited all three sites an noticed that they all had the same sales pitch so I settled to reviewing home jobs today. Home jobs today claims that if you spend just 60 minutes a day with their program, you can make $ 379 a day. I have been to about half a dozen sites that use this exact sales pitch to get unsuspecting people to fall for their scam. These sites all look a like and have the tell tale signs of scam sites like displaying the logos of renowned TV networks without permission. Home jobs today like many other scam sites use urgency to get people to join. They say things like “there are only limited positions and if you dont join now, you will lose your place to another”. In the case of home jobs today, they said there were only nine positions left in my area. I came back a few days later and there were still just nine positions left! The owner Kelly talks about the day she was fired which happened to be the same day owners of three other sites I visited were fired too (coincidence? I doubt it). According to these four women, this was the day they started thinking of what they wanted in a job and it changed their lives for the better after they met a men who showed them how. These sob stories are told to draw sympathy and attention. The fact that, the stories are supposedly those of single moms, works even better in luring people into this quick money schemes. What does home jobs today offer? What home jobs today claims to teach you is how to post links on a variety of sites like Facebook, twitter and the like, in the hope that someone might click on it. They claim that many companies are ready to give you links to their products. These companies according to them will pay you $ 15 for every link you paste and it will only take you about 4 minutes to paste a link. This is not true because what they fail to tell you is that link posting is the evil twin of affiliate marketing. I say so because with link posting, you are told that you don’t need a site in order to paste these links. So you paste the links provided to you by them, and when people click them these scammers make money for your sweat. Individually, you can’t make much posting links. It is the collective efforts of desperate people that generate money for these scammers. You won’t even make the money they promise you will make in a day ($ 379) in one month. Worst part is, you will be helping them promote their scam. Home jobs today claims that their product is worth $ 2000 but because they like you so much, they will give you for $ 97. They make sure to remind you constantly that the offer may expire soon if you don’t act fast. Further more, they claim that if you don’t act fast, they might apply an additional $ 29.99 monthly fee to the $ 97 or a one time payment of $ 500. 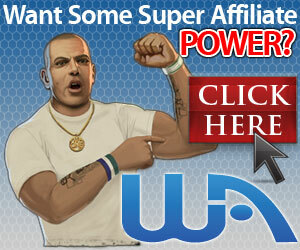 Affiliate marketing is a way of making money online by referring people to purchase the products of others. When someone you refer buys a product, you get paid a percentage of the sale as commission. No legitimate company will give you their links to paste if you don’t have a legitimate website. The way it works is like this; you apply to a site like amazon to be their affiliate. To qualify, you must have a site of your own with great content. After applying, amazon or which ever business you apply to will review your site and if they like it, they will approve you. Only then can they give you links to post on your site. These links will connect your site to theirs and every time someone visits your site and clicks on the link, it will take them back to amazon. If they buy something while they’re there, amazon will pay you commission. How can I get a website for free? It’s easy, join the free membership of wealthy affiliate and they will help you build up to two sites and teach you the basics of affiliate marketing. Don’t waste your time with quick money schemes because nothing good comes easy. I hope this post is helpful. Please leave a comment.